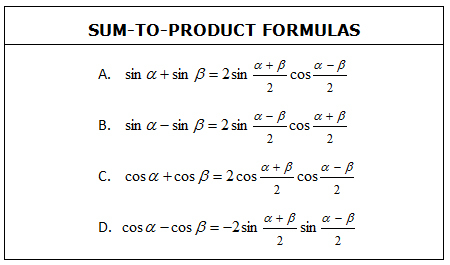 The formulas below will enable us to change a sum or difference to a product. Express sin11x + sin5x as a product. 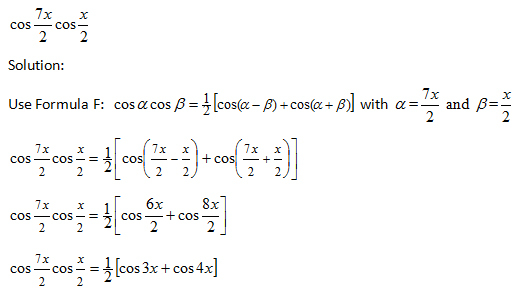 Express cos5x – cos4x as a product. 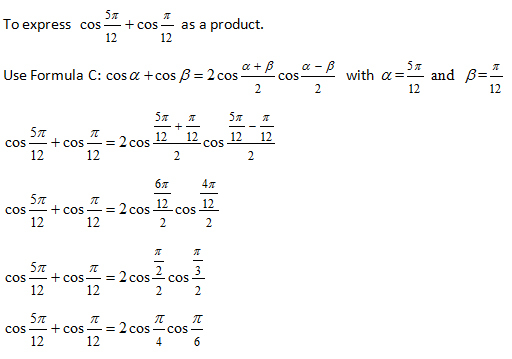 The formulas below will enable us to change a product to a sum or difference. 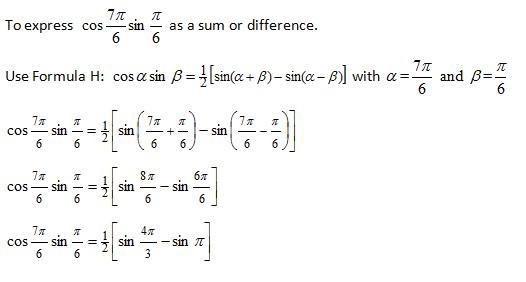 Express sin6xsin4x as a sum or difference.